Sometimes a story comes along that requires more than a few deep breaths before being written. This one needed some deep breaths, some coffee and some strong words. But before we launch into the absolute stupidity of the whole thing, let’s get into the nuts and bolts of the story first. Little Rowland is eight. He likes to play The Simpsons: Tapped Out on his iPad. Or at least, he did. 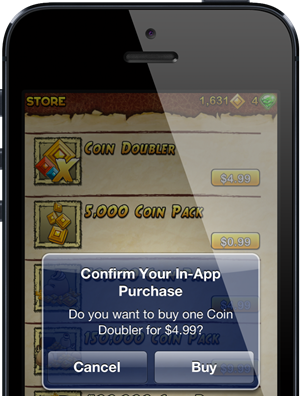 Now though, after racking up a considerable in-app purchase bill, we suspect he’s not quite so keen. The Daily Mail reported that Rowland’s love of the Simpsons game, and the subsequent purchase of all manner of donuts in-game left his parents with a £980 bill from Apple. According to the boy’s father, when he and Rowland’s mother checked their bank statements there were more than a few transactions for in-app purchases ranging from £1.50 to £75. That’s a lot of donuts! 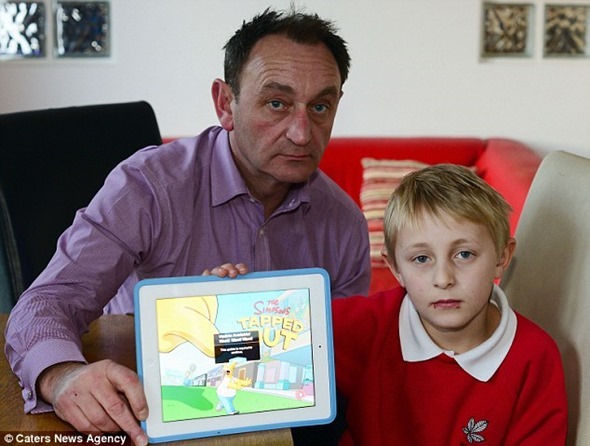 Obviously upset – at Apple, apparently, rather than his son – the father then got onto the iPad maker and was given a refund for the full amount. Top marks for Apple, here then. Unfortunately, the California company is the only one to come out of this story with much credit. Not content with claiming the family never received any emails from Apple about the impending bills, which as anyone with an iTunes account knows is almost impossible, the hapless father also suggests that there should perhaps be some protection in place to avoid such calamities. I appreciate children are their target audience but it is not right and there needs to be specific controls in place to stop this from happening. We couldn’t agree more. In fact, neither can Apple. That’s probably why there ARE these kinds of controls baked into iOS. Apple obviously didn’t come around to little Rowland’s house and turn them all on for him. Shame on you Apple! We got Theo and his sister Evie an iPad to help with their schoolwork but Theo’s is away in a drawer at the moment. We just don’t have time to monitor what they are playing. Oh right. Apple should be looking after your kids, so you don’t have to? Gotcha. So, to sum up a 400-word story into a sentence: some parents gave their kid their iTunes password, don’t have any parental controls turned on and complain to Apple when their child spends all their money. Does that cover it? You’ve got to wonder what they would have done if he’d bought a thousand pound’s worth of music, or movies. But hey, they couldn’t wrangle their way out of that one. At what point will parents start parenting, rather than blame whoever it takes to get their money back?